Working with the Office of Campus Sustainability, students from various public policy and economics classes developed and implemented a sample waste audit whose goal was to evaluate and weigh the types of waste in campus trash and recycling bins to improve waste diversion programs. Serve-Learn-Sustain funded a grant to support the project. After examining samples from Clough Commons and various freshman residence halls, the students found that food waste constituted a significant proportion of trash in both locations. One recommendation that emerged from the project was to increase the ratio of recycling bins to trash bins. Read a student report on the project here. 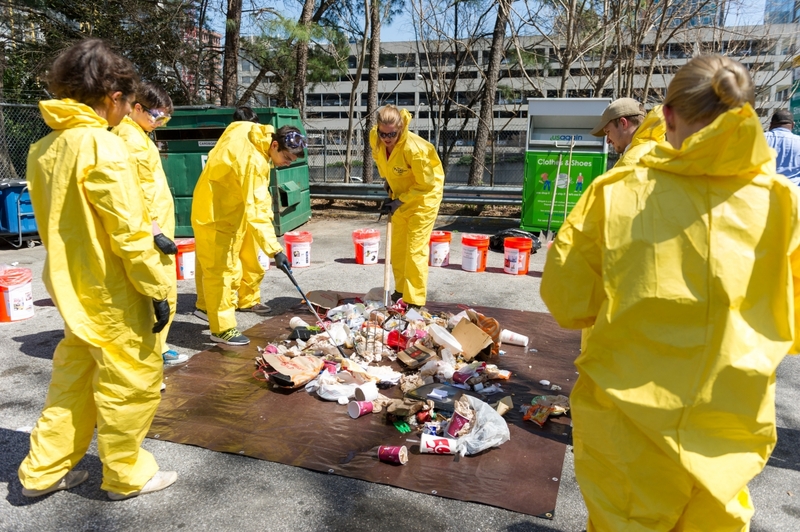 Read a Reflection by a faculty member here about her work engaging her class in the Waste Audit as well as analysis of the GT Climate Action Plan.